This blog will be taking a rest for the next few weeks, as we head to Italy for the summer holidays. 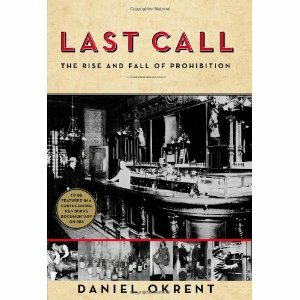 The story of the prohibition of alcohol in the United States from 1920 to 1933 is an extraordinary piece of social and political history, and nobody tells it better than Daniel Okrent in a fantastic new book, Last Call: The Rise and Fall of Prohibition, just published in the US and available in the UK via Amazon. The prohibition lobby was closely linked in its early days both to the evangelical Christian right and the Ku Klux Klan and to women's suffragists, supporters of income tax and trade unionists, though by the time that the Catholic Al Smith became Democrat Presidential candidate in 1928 the former wing was much stronger. Their opponents in the drinks trade boxed themselves into a reactionary mode by rejecting these liberal causes, particularly women's suffrage, ensuring that women supported the alcohol ban by as much as 9-1. But the impact of prohibition was profound on the US: not just the rise of organised crime through the Chicago bootleggers, but through changes to the fabric of American life in many ways from the growth of night clubs where women could drink through to the election of FDR and his ability to effect the New Deal. The cast of characters associated with the propagation of prohibition and its undermining was legion, and the second camp included most immigrant communities whose Democratic support was cemented at this stage, respectable Scottish distillers in cahoots with Canadian exporters and high society industrialists whose opposition led to repeal through to supporters of prohibition whose shameless blackmail of often 'wet' politicians has rarely been seen before or since. Meanwhile, the number of legal and illegal ways of bypassing the law grew including: booze cruises outside an expanded 12 mile coastal limit, the growth of Havana, a new prosperity for the Bahamas, Cunard liners, legal farmhouse cider, communion and Jewish sacramental wine (creating a lucrative Californian vineyard replete with guesthouses for visiting priests and rabbis), alcohol for 'medicinal purposes', tonics for women (some created by leading drys), imports from Canada and various bootlegged and mixed versions of industrial alcohol. True, alcohol consumption fell, but the law was so widely flouted and created so much new crime that its repeal was inevitable. Okrent tells this amazing story from the birth of the prohibitionists in radical politics through the growth of the Anti-Saloon league and its split opposition in distillers and brewers who couldn't agree among themselves on tactics through the movement of upper class women that finally led to repeal. It is one of the most readable and jaw-droppingly entertaining histories I've read in ages. Vince Cable, the business and universities secretary, is a man with a problem. Despite Nick Clegg's best efforts, his party fought the election on a ludicrous higher education policy of scrapping fees. As domestic students paying a proportion of their fees for twelve years, reducing the burden on low-income earners who never went to university, the Liberal Democrats clung to their plan to scrap those tuition fees contributions. Purely to pull the wool over the eyes of students in a handfull of university seats. Now, faced with being in charge of higher education policy, Cable has to perform contortions to try to get himself off the hook. Hence his graduate tax idea. Lord Browne's review has several options. One is to do nothing. A second is to increase the fee contribution from a maximum of £3,290 to £5,000 or more likely £7,000 a year. A third would simply involve allowing universities to charge what they liked, as they do already for overseas students. A fourth would raise the interest rate on the loans, while retaining the current repayment system, or expect universities to establish their own loans. In any case, universities need to be able to charge higher fees sooner rather than later, though it may be politically unrealistic to do so without a cap. But under the current system, students get a very good deal. Poorer students receive grants as well as loans. All students can borrow the money they need for tuition and maintenance and repay it through the taxation system at a modest interest rate as and when they can afford to do so. What they are not required to do is to pay back more than they borrow. And they can be rid of their loan more quickly if they wish to do so and can afford it. In some cases - as with science teachers - employers could opt to repay the loan as an incentive. Vince Cable thinks all this is terribly unfair. The fact that fees have not deterred students from poorer backgrounds, as the Liberal Democrats constantly claimed during the introduction of both phases of tuition fees, matters not a jot. What the Liberal Democrats are looking for is a backdoor way of raising taxes further on high earners. They want, in Alex Barker's words, a student loan that you never pay off. But the graduate tax has two other not inconsiderable flaws. The first might trouble Cable's Treasury colleague, Danny Alexander: it raises no money for a long time, as it can only be levied on future graduates. In the meantime, the state would have to pick up the tab at a time of 25% cuts in Vince's budget. Universities could whistle for any money. And it could also encourage a brain drain, as good high earning graduates who wanted to flee their 'debt to society' could work abroad and pay back not a penny. Rather than performing contortions over the issue, Cable would be better allowing his formidable universities secretary, David Willetts, who had the intellectual good sense to rescue the Tories from an equally daft opposition to fees, to work with Lord Browne's team on getting an answer that keeps UK higher education competitive and achieves the right balance between government and student payments. The future funding of higher education should not be held to ransom in order to rescue the Liberal Democrats from their own intellectual incoherence. This post also appears on the Public Finance blog. Paid more than the PM? An ugly alliance between some trade unions and anti-public sector populists in the coalition is taking hold. The latest victim is a London headteacher, whom the Daily Mail (editor's salary: £1.1m a year) this morning claims is being paid £276,000 a year. In fact, he is being paid £82,000 a year as an inner London head, and received around £50,000 a year for helping improve other inner city schools through the very successful London Challenge. The rest would seem to be out of hours work, arrears and pension contributions. In other words, he is being paid for more than being head of his primary school, and even then his salary for the two jobs is closer to £140,000 a year. We are invited to compare this 'outstanding' head's pay (inflated by the GMB and their pals in the Mail to £276k) with the saintly David Cameron, who toils away cutting the public sector for a mere £142,000 a year. But is it true that Cameron earns just £142k? Well, not exactly. First, the millionaire PM has the ultimate two grace and favour homes at his disposal - the 11 Downing Street flat and Chequers - the annual rental value of which would surely bump up the value of his salary quite a bit. Then, he gets his travel sorted with a chauffeur-driven car. And he has a pretty hefty pension to boot, all of which would surely bump the real value of his salary towards the £300,000 mark. I don't say he shouldn't get such a deal - of course he should as Prime Minister. I just wish he and his acolytes would stop being so sanctimonious about the pay of other public sector leaders who don't enjoy his perks. The many twists and turns in the school buildings fiasco (many of which have been ably exposed by Ed Balls) seem to point to a major flaw at the heart of the coalition's approach to government: a failure to bother themselves sufficiently with the details and a wish covertly to continue in opposition rather than accepting the trials and tribulations of government. The wholly unfair Sunday briefings against Tim Byles, an able leader of Partnership for Schools who pushed the capital programme back into shape, suggests an ugly tendency among some in government towards smears and childish oppositionism. But the fact is that whatever capital programme emerges to replace Building Schools for the Future will need someone to run it and keep the costs in check, and that expertise does not exist within the Department for Education, nor is it easy to find outside it. Michael Gove has deservedly been praised for his willingness publicly to accept responsibility for last week's fiasco; one must hope that he can equally publicly disown the trashing of Byles and PFS, and put a stop to similar such briefings. The lesson that he - and his fellow ministers - should draw from last week's affair is that they need to look in much greater detail at the implications of decisions, and recognise that the simple slogans of opposition do not always easily translate into the effective policy of government. That is not to say that the ministers should accept everything they are told by the civil servants, especially where their advice could scupper the coalition's radical reforms; rather it is to recognise that without proper checks, without a recognition of the delivery mechanisms and agencies needed to effect policy, and without a clear message, the government will come seriously unstuck. Civitas has rightly drawn attention to the likely three year setback that will result from a rapid rush to GP commissioning, a view largely echoed by the excellent Chris Ham from the Kings Fund on Today this morning. And the idea that the independent Food Standards Agency should simply be absorbed into the DoH beggars belief. Here are two accidents waiting to happen. And they won't be the only ones unless ministers recognise that they need to take charge and get behind the important details, rather than operating like a permanent opposition. It may be boring, it is certainly time-consuming, but without greater focus on details the coalition will not last nearly as long as many people think. There is plenty of justifiable outrage at the cack-handed way in which the lists of spared and scrapped school building projects were issued this week. For those schools that thought their plans would be realised, the agony of being told that this was merely an administrative error must have been unbearable, and Michael Gove is right to don sackcloth and apologise in person. But it would be wrong to view listgate as the most important mistake in this sorry business. That lay in cancelling 719 existing Building Schools for the Future projects in the first place, many of them well advanced - meaning that whatever admin costs were regarded as profligate will already have been accrued. BSF may have become too bureaucratic, but behind it lay a desire to achieve rather more than new buildings for a £55 billion investment. A transformation was being sought across whole towns, cities and shires, not just in individual schools. There were expectations that new schools would have the latest technology, that classrooms would be adaptable to modern needs, that the schools would approach carbon neutrality and that by improving the learning environment, they could contribute to higher standards. Many BSF plans were explicitly linked to the establishment of academies. Of course, a new government might be expected to seek better value for money from the whole process. It may even have new priorities for what they should contain (though it should eschew building new schools on a Victorian model) and it may see potential value for money improvements in more standardised plans. All this could be achieved through a halt to future building plans, without throwing existing plans out, particularly those that were well advanced. Maybe, Gove is seeking to win Brownie points from the Treasury. Maybe he thinks he can't fund free schools without cancelling existing plans. Either way he must surely have realised how much political damage this would do to the coalition. Tory MPs are as angry as Labour ones, with one planning a march on No 10. And given that many plans are funded through the Private Finance Initiative, was it really necessary? Unlike his cabinet colleague at health (latest wheeze: having trashed Jamie's school dinners, let's get McDonald's to run our health campaigns) Gove has had a clear rationale to his reforms, whether one accepted it or not. By creating so many enemies so early, he has made it that much harder to achieve his radical ambitions. Meanwhile, is it worth asking where the Lib Dems were in all this process? Probably not, as their DFE minister, Sarah Teather's apparent ignorance of what has happened in education over the last ten years is matched only by her obvious inability to influence a single decision of any real importance in her department. · To review and reform the requirements on schools including the building/School Premises Regulations, design requirements and playing field regulations. thirdly, to be used to help raise standards by providing educational facilities. While not eliminating sales, the requirement had greatly reduced their number by creating a presumption against such sales, and each sale has required explicit DFE approval. Now it would appear that despite plenty of bluster in opposition, the Coalition wants to relax these requirements. That ought to boost England's sporting chances in the future. Hopi Sen, like my anonymous commentator below (please don't be so shy), has been reading too many conspiracy theories. Hasn't he? Modern school buildings - over 1100 new schools were built since 1997 - remain one of Labour's great educational legacies. And while there may well be savings to be made in the Building for the Future (BSF) programme through more standardised plans, it is deeply worrying to see the coalition treating the abandonment of school building plans almost as a badge of pride. While there may be a good case for some cuts in revenue spending, the cuts in buildings investment cannot but hinder the recovery, damaging the construction sector. This is an investment in the future which should not be treated as an optional extra. George Osborne effectively acknowledged in his Budget speech that previous Tory governments mistakenly cut capital investment during previous recessions. It remains to be seen how the capital programme emerges after this review of BSF: but a return to the days of crumbling schools in the 90s would not only be bad for education, it would be bad for the economy and future growth. No wonder business confidence is ebbing from the economy. Education Secretary Michael Gove has been setting out his plans for A level reform. He wants to reduce modules, scrap AS levels and get universities to play a greater part in syllabus design. There is certainly a strong case for further reducing modularity so that a greater proportion of the marks goes on synoptic assessments, and cutting the endless repeats that have been allowed of modules. Having universities more involved in developing syllabuses could also hekp raise standards. However, there is a danger in trying simply to recreate A levels as they were. Both the Conservatives and Labour accepted the case for AS levels in the 1997 election - the idea had been accepted in 1996 by Conservative ministers after a review led by the late Ron Dearing. Whether it is wise or necessary to scrap AS levels now is doubtful: they can be useful in offering greater breadth in sixth form studies before the specialisation in Year 13. Removing other modules doesn't require their abandonment. Moreover, A-levels represent only one part of the picture when it comes to 16-19 education. The coalition has been sniffy about Diplomas; it should reinvigorate them so that there are strong work-related course options available to young people, while strongly promoting those that have industry backing. If needs be, a stronger work experience element could be added. Equally, while keen on apprenticeships, they need greater clarity over who will deliver them at a time of substantial youth unemployment - colleges may be strongly placed to take more of the risk, particularly in partnership with small firms. As well as strengthening A levels, ministers should make it easier for schools to offer the International Baccalaureate, a rigorous qualification that doesn't require the narrow specialisation of A-leveks from academically able students. And while it may be right to increase the synoptic element of A levels, they should retain the idea of a long essay or project as part of an A level student's portfolio: that is where real 'deep thought' is likely to shine through. 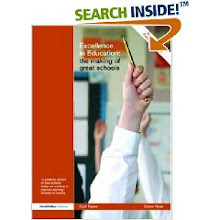 It is important that there is a rounded approach to 16-19 education that addresses the needs of all young people. To see Woody Allen's Whatever Works, a film that brings Allen back to New York and to the comic style of his earlier creations. The great Larry David largely reprises his Curb Your Enthusiasm grumpiness as Boris Yellnikoff who finds himself falling for the Southern charms of a Mississippi runaway, Melodie St. Ann Celestine played with naive brilliance by Evan Rachel Wood. As Melodie's parents - great performances by Ed Begley Jr and Patricia Clarkson - track her down, a classic Allen plot unfolds as they discover the freedoms of New York. It is cliched to describe Allen's movies as a 'return to form' - he has had several good movies this century - but it certainly shows that he still knows how to get the most from a great ensemble of actors.